Yeah, I mean the size of texts, titles, headings and other elements of your web pages. Another thing that matters is keyword density: the ratio (percentage) of keywords contained within the total number of words in some text. This notion is pretty much debatable in SEO, mostly because there′ s no one and universal keyword density value to rule the SERP. Matt Cutts (the head of webspam at Google) said: "the first time you mention a word, you know, ‘Hey, that′ s pretty interesting. It′ s about that word.′ The next time you mention that word, ‘oh, OK. It′ s still about that word.′ And once you start to mention it a whole lot, it really doesn′ t help that much more. It′ s just an incremental benefit, but it′ s really not that large." For you, it′ s important to know the keyword density for the whole page and for its smaller parts, like title, first sentence or headings. You′ ll need to find out, how much text you need on your pages, and what the best keyword density for your web pages is. Well, you may ask me, WHY it′ s so important. I′ ll tell you: because if you use text with too small keyword density, Search Engines may not pay much attention to you. And, if you overstuff pages with keywords, the Search Engine′ s robot will come to your site, but won′ t trust you, as the page will look unnatural. In this situation, Search Engine may even penalize your website and exclude it from its index. And, the most disappointing thing about this is: there′ s no rule for text length and keywords density. Some guys will recommend the density of 5 to 7%, others – 1 to 3. But take my word, the only thing we SEOs can say for sure is: IT DEPENDS. One of my old clients, James, recommended my optimization service to a friend of his, Fred. For his first landing page, I chose keyword density of 0.9%. Fred looked at James′ s pages, and it was easy to see, there the density was much higher (I know it′ s 6.1%). So Fred complained that I′ m doing something wrong. I didn′ t try to explain to him that their markets and competition differ so much, as one sells aqualungs and the other baby food. All right, Fred, I said, I won′ t charge you at all if it doesn′ t work. And you know what? After 2 months, Fred′ s sales doubled! So that′ s what I tell you again, for successful optimization, keyword density is conditional, and I′ ll show you how to find out what′ s right in your case. Each time you decide how long your texts will be, and how many keywords you use, you should be driven by the same rule my wife uses for her "sight optimization": look fantastic and look natural at the same time. And that′ s in fact the rule of thumb for you: make your pages LOOK GREAT YET NATURAL. Now getting back to keyword density... You′ ll see how it will help your rankings, in just a couple of minutes. But, don′ t rush to count it right now. Just keep "keyword density" in mind, next to the Great&Natural rule. And read what comes next. Learn on other people′ s success! To reach an ideal, you may try 100 times, and make 99 mistakes. Or, is there a safer way? Tell me, how do we know what exactly we should do with your page, to make a leg–up on your competition? The answer′ s simple: like in real life, before you make a choice, you see what others did. Your little angel no longer bawls his head off, when mom′ s away and you think he might pretty well be sent to a nursery and let his mom get back to work. So...you′ re looking for a nursery. First you ask your friends and co–workers, whom they trust their little ones, and how well nurses take care of the kids. Then you go to see a couple places, look at the lovely kids and meet the teams. And only after that, you take your little fellow to the best place you could find. For SEO, it′ s the golden rule, too. LOOK AROUND and see what′ s best. Your competitor is your best advisor! 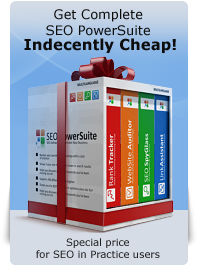 Yes, it′ s simple and true: your top competitors used a try and error method, being wrong many times, and they wasted a lot of money, before they found what′ s right and got their top positions in Search Engines. And now they literally can′ t wait to tell you how they did it! You can now easily look what they do best, and do it even better. Would you miss such a chance? No more idle talk! Getting straight to the point, here′ s your next SEO step. Just create useful content without spam. 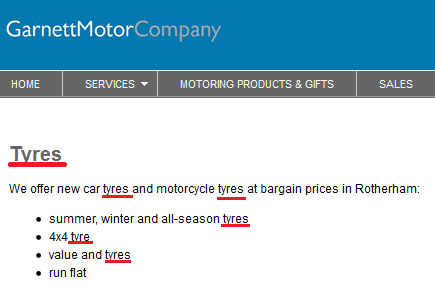 Thank you for the great example of keyword density depending on the keywords in question. I'm pretty sure that this will be a million dollar Hollywood film one day. I'm finding this fascinating reading and I'm learning so much. I can't put it down. There is no right or wrong in the world of SEO, but the journey to SEO enlightenment has never been so exciting. I'm always looking forward to the next chapter. I have been trying to get my head around 'good' SEO for years, thank you Sigmond Dan. Would you count in every word on the landing page, including top menu, footer menu (sitemap), sidebar (widget) when you calculate the keyword density? The #1 page i want to compete with uses only blog messages on the front page. Because of this it's hard to tell what keyword density it has because it are all different type of messages. they come up with new messages every 2-3 days but still remain #1 in Google on the most important keyword. How do i know what keyword density i have to use? i'm using a static page for the keyword. First of all, I hope to help u with my answer. Well, I think that it is important to use keywords in H1, H2, H3, mainly in H1, because they are heading tags which serve to devide your webpage in sections. H1 indicates the topic for ur web page and people look first when they're trying to know what ur page is about. The first priority of the search engines is to provide results which people want, so they use the same techniques to figure out what the page is about. That's right, the content of the heading tags will be considered important and given a slightly higher rank than other content on the page. Maybe, I am making a mistake, but this is my idea about this matter. How important is it to use your keywords in the H1, h2, h3 tags? Or doesn't it matter that much? It's getting juicy now! Can't wait to look under the hood of my competition. If we can use our competitors strategies, when we take over "their" number one spot, will they mimic ours? I guess, when we stop doing seo, we stop being number one!